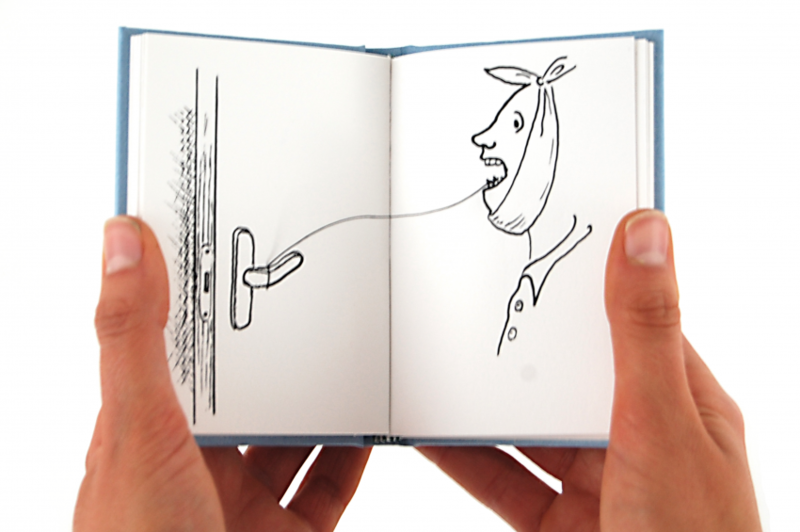 Dutch artist Els ter Horst was the winner of the Main Prize, as voted by visitors to the exhibition, in the 2013 Sheffield International Artist’s Book Prize. This solo show of her work follows on from that event, showcasing some of her other book works as well as a range of work in other media. With experience in theatre, social environment and teaching, these influences impact on the work Horst produces. This is expressed in both figurative and abstract work. Her work is about human, behaviour and relationships. Horst’s books are often elaborate and intricate involving both movement and textural components. The book, she believes, brings a sense of order, sequence and transformation. ‘A book is a suitcase, in which things can be found and stored’.